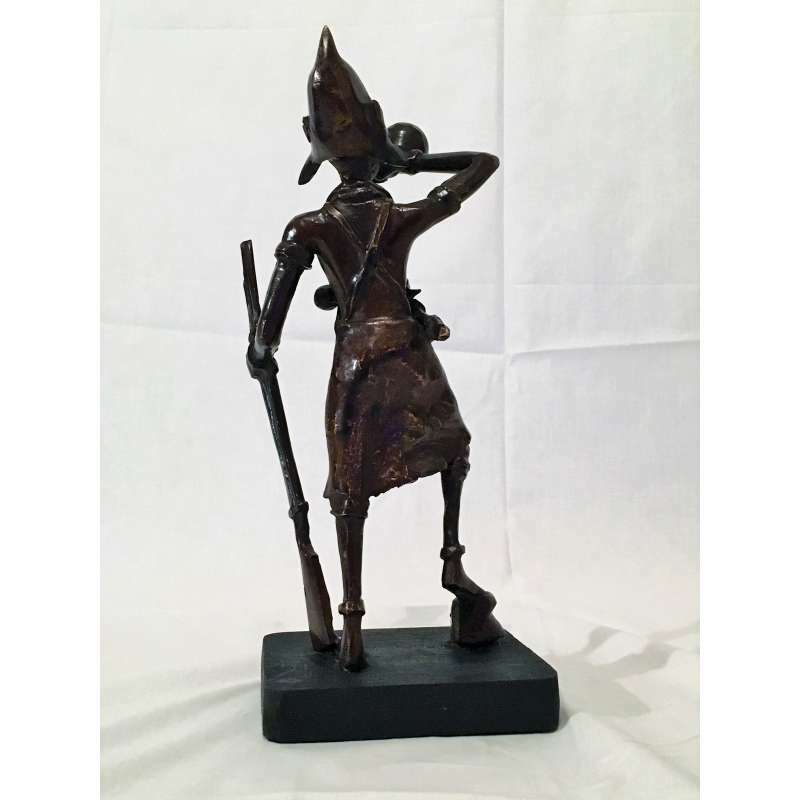 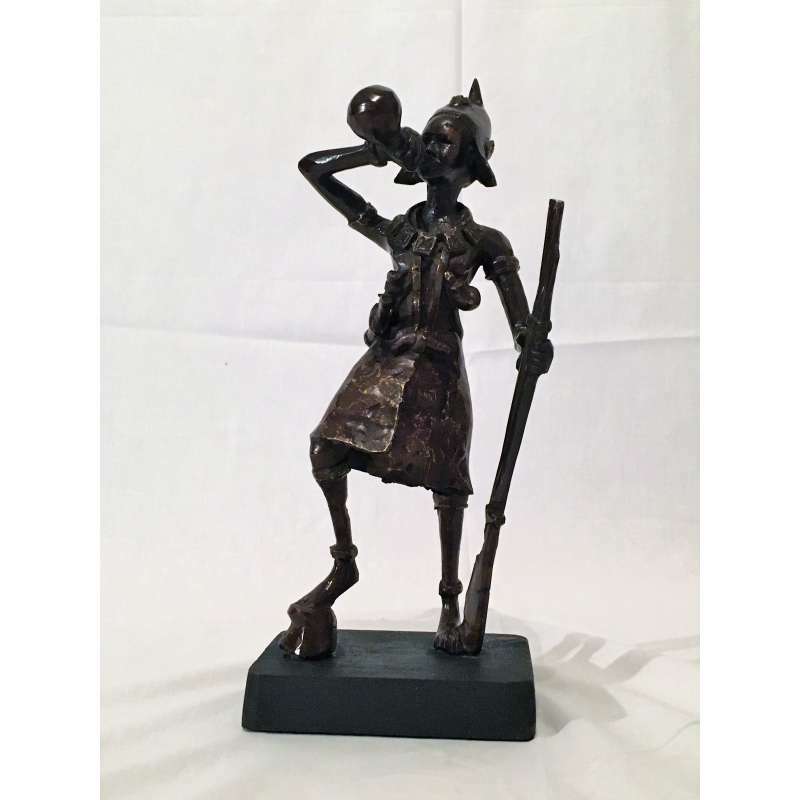 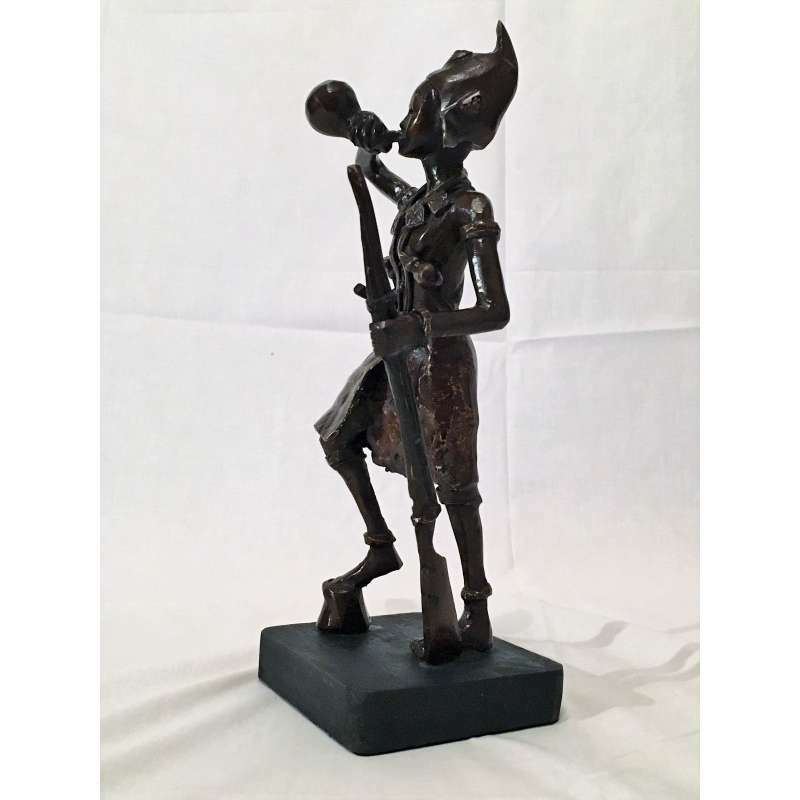 The work depicts an African warrior blowing into a trunk with one hand, holding a rifle with his other hand. 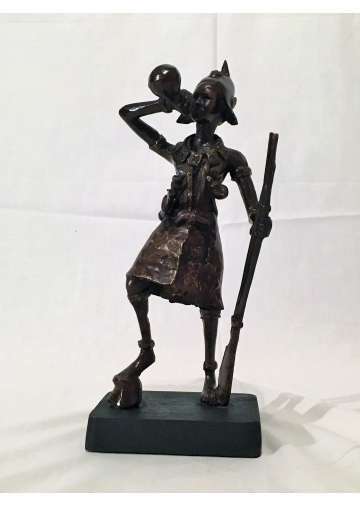 We see on this bronze statuette a remarkable work on the finishes and details as the knife of the warrior, his gourd, his hat and amulets everywhere on his body. 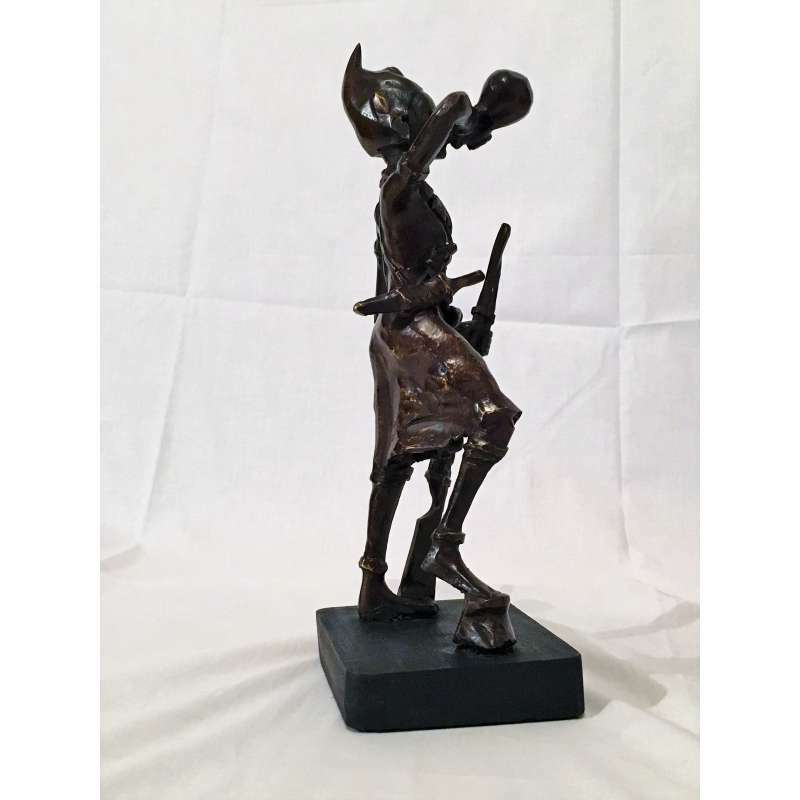 The bronze sculpture is mounted on a wooden base.